Hardwood floors come in a dizzying array of colors, finishes and styles. You can create virtually any look in your home from formal to unique. 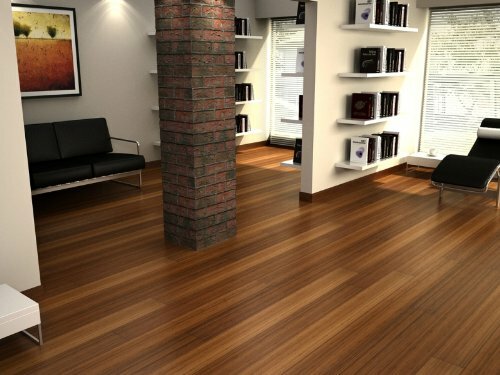 New advancements in technology have allowed for tougher, more durable engineered hardwood floors, so you can enjoy the beauty and warmth of hardwood floors virtually anywhere in your home. Read on to discover some of the latest styles and trends in finishes, wood types and moldings. For a rustic and more informal look, distressed hardwood floors provide a “shabby chic” look that is very popular today. The flooring has been intentionally distressed with chains, nails and staples to reflect the look of a well-worn floor. This style is popular not only for its aesthetic, but also because nicks and scratches are hidden and not noticeable. 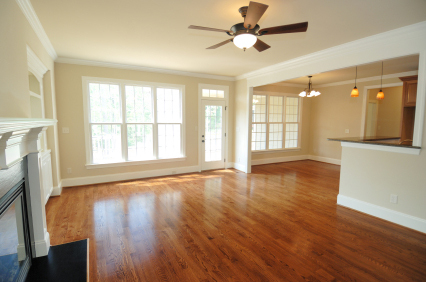 Distressed hardwood floors are perfect for active households. Full of character and texture, handscraped flooring has waves running through the length of each board, creating a very unique look. The waves can range in appearance from pronounced to subtle. Like distressed wood, handscraped wood is more forgiving when it comes to everyday scrapes and scuffs. Move over Cherry and Oak. 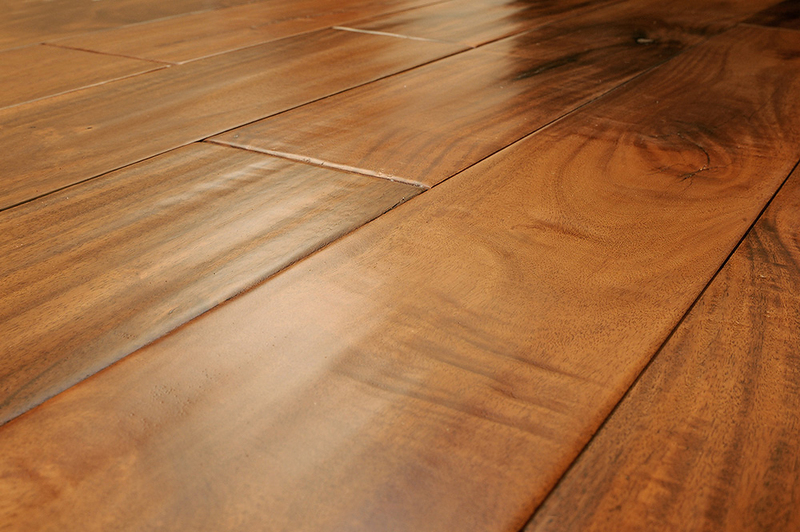 As the name suggests, exotic style hardwood floors are made of wood species that come from around the world. 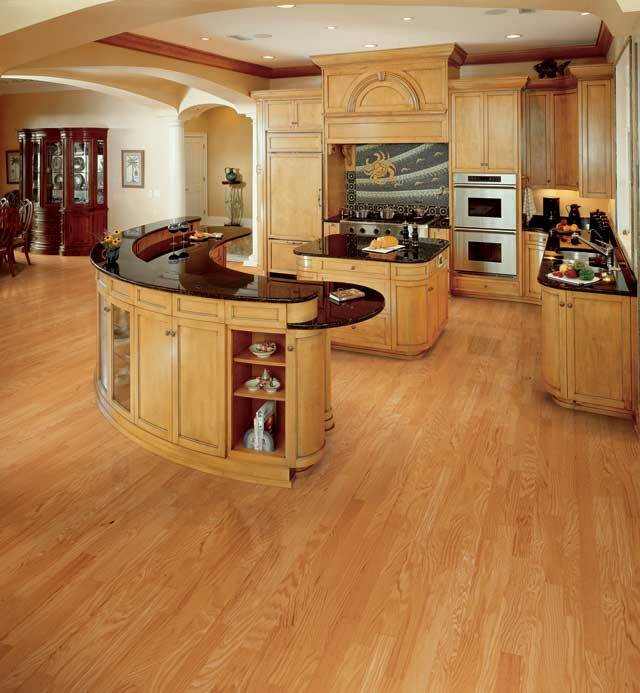 German, Asian, South American and Russian hardwoods are all gaining in popularity. Often very sturdy and durable, with distinctive characteristics, exotic wood floors will stand the test of time and provide character and elegance in any room. 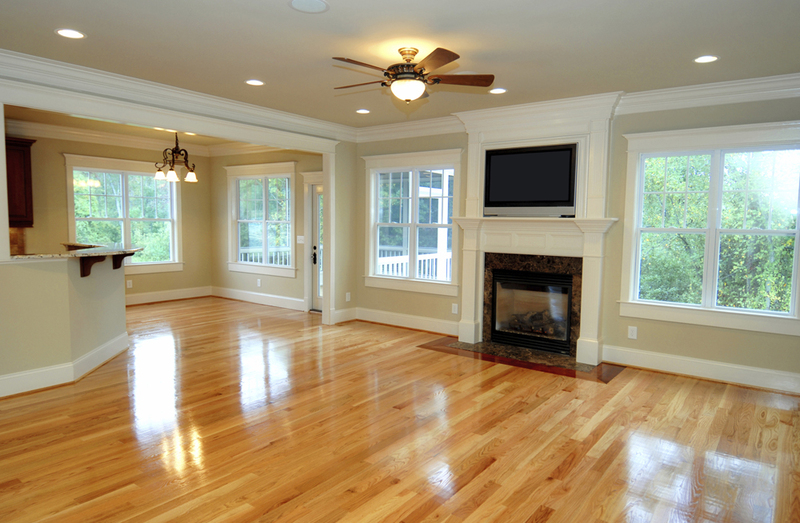 In this style, the hardwood floor receives a clear stain so that the natural appearance of the wood is highlighted. 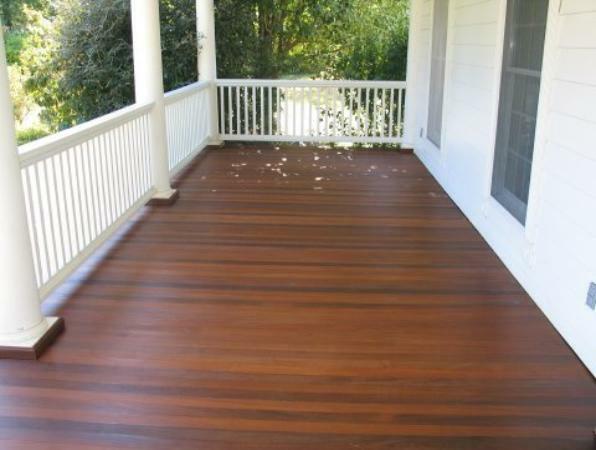 This results in boards that may range in shades from light to dark, creating a mismatched look. 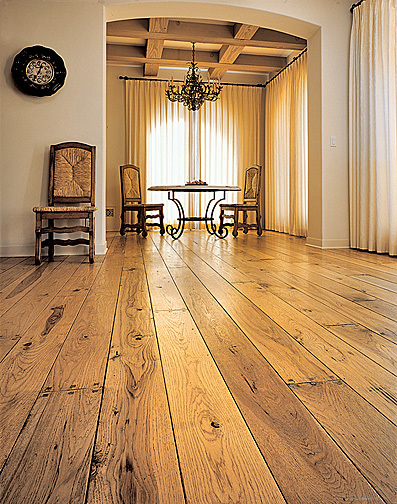 High variation wood flooring creates a look that is both beautiful and entirely unique. As “going green” becomes more and more popular, many people are looking for alternative methods to building and redesigning their home. 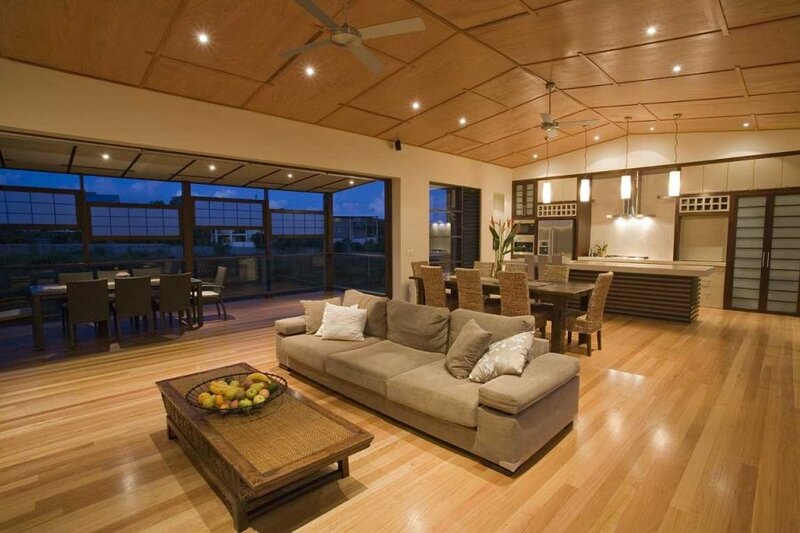 Cork and bamboo floors are very popular choices for a beautiful eco-friendly home. Both cork and bamboo floors are made without cutting down trees. If you want a natural floor that is friendly on the environment, consider either one of these attractive floor styles. 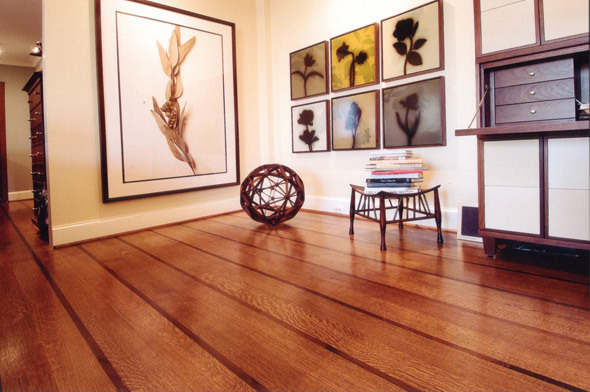 Available in every style and color, coordinated molding is a fast-growing trend for hardwood floors. 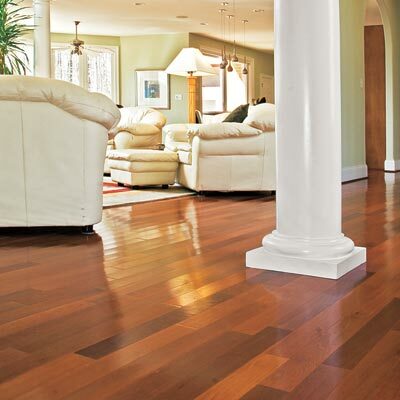 Molding provides a seamless transition from the floor to your wall or doorway threshold. 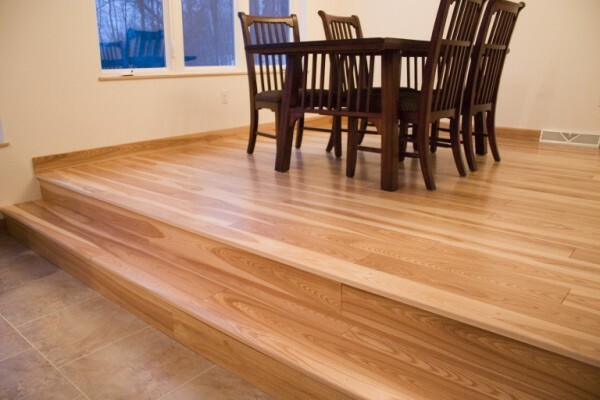 There are also special moldings for your hardwood stairs and transitions from hardwood flooring to other floors such as tile or marble. 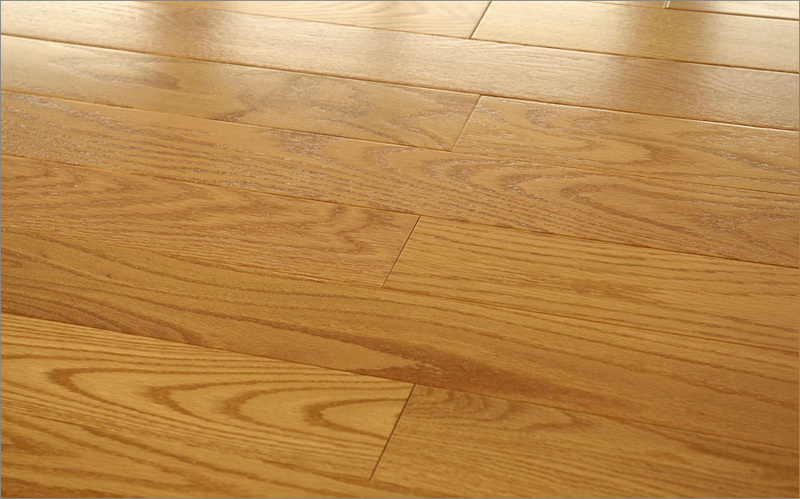 Thanks to modern technology, some hardwood flooring can be finished to be more scuff resistant. 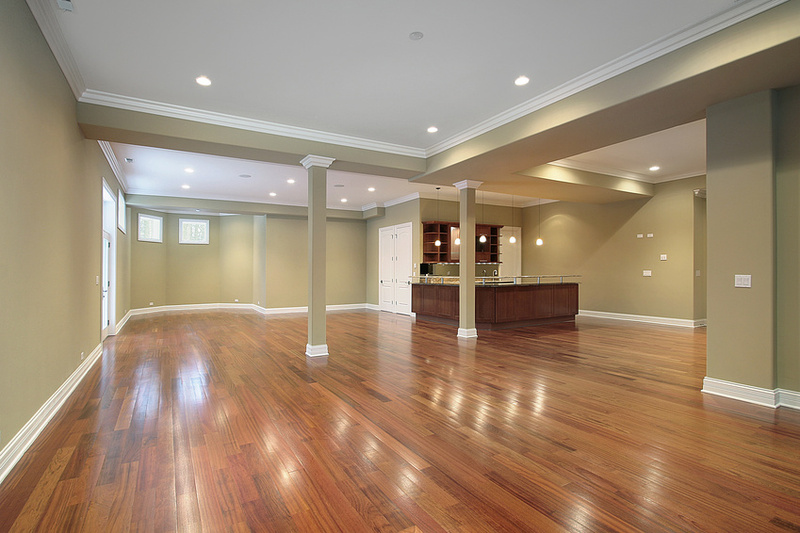 Tougher, more durable hardwood floors means you can enjoy the beauty of hardwood floors in high traffic areas without having to worry about scuffs and scratches. 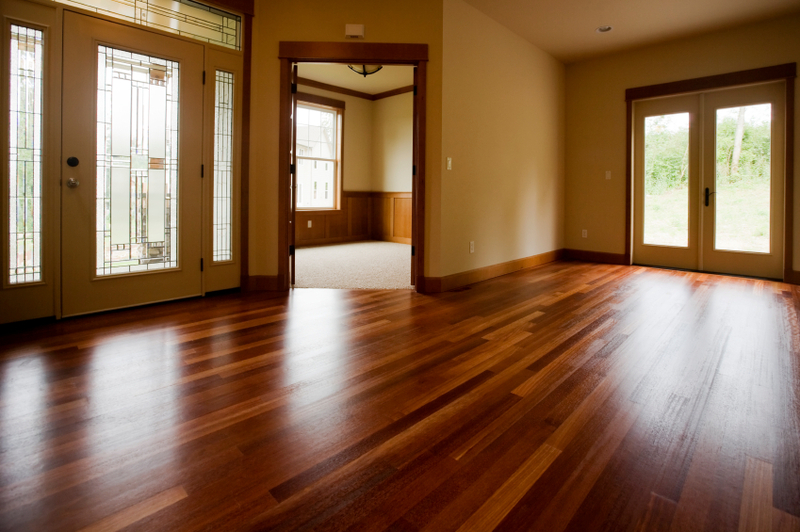 Not that long ago, hardwood floors could only be installed in areas that were not susceptible to moisture. 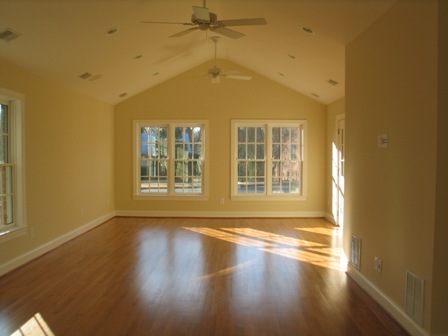 Now, certain types of engineered woods are finished with a moisture-cure urethane to produce tougher, more durable hardwood floors.